The combination of the fully digital FastCAM™ (3D) Bevel Head with laser height control,FastCAM® 3D software and Powerful Windows based Easy to use Touch screen Linatrol Infinity ∞ CNC will cost around $80,000 installed. Customers will also be able to add the new versatile and compatible m3 plasma™ bevel dry/Water injection Cutting and Marking torch to give a quick conversion of any machine to precision weld preparation of V, X, Y and K bevels and even rotating weld faces. Weld preparation is on the critical path so customers have always wanted the enormous time and cost saving in fabrication with fully prepared accurate plate parts. It is Y and K bevels that offer the potential to halve welding costs and assembly labour by removing an entire step in the fabrication process. However bevelling as a process is not simple. Machines, torches and programming systems are still tested by this type of application which is machining, not rough flame cutting. For many reasons, it just has not worked or has been too expensive or too complex. 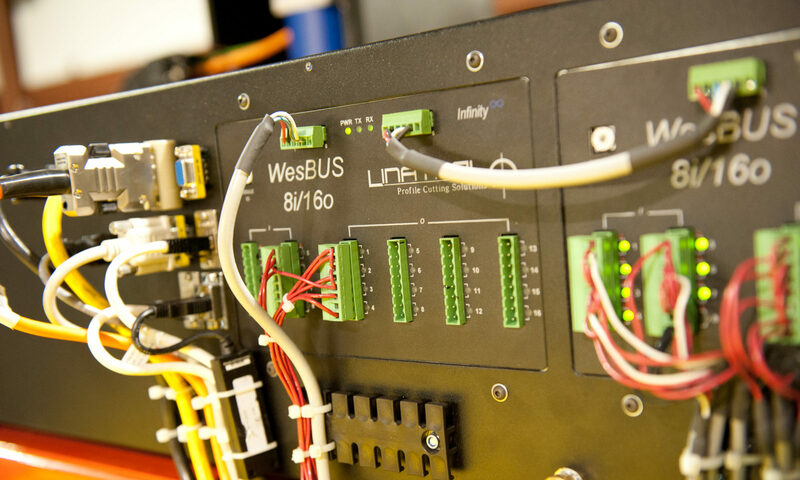 Where accuracy is required, there are varied inherent problems such as torch height control, special logic for loops, corners, adjustment to kerf, feedrate and more. A small error in the head position, horizontally or vertically means a big shift in the position of the small land formed in a K bevels. Many weld preparations are critically dependent on the angle of the ‘land’, which is often not 90 degrees. To complicate matters further, there are multiple ways in which a drawing can be defined. Thus a simple rectangle is not enough. When bevelled you have to know if you are looking at the top, the bottom, half way through or even the top on one edge and the bottom on another, with the biggest or smallest rectangle approach. In many cases, the NC programmer has had to tackle problems best left to a welding engineer. If not calculated correctly, you may have a beautiful bevel but on a part which is too big or too small and does not fit. 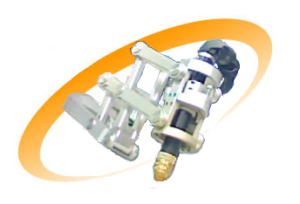 FastCAM™ Bevel Head – Digital CAT5 cable & power, highly modular, multi axis. Integrated easy FastCAM® programming software enabled for both 2D & 3D nesting (Patent pending), predictive laser height control (Patent pending) and EdgeSmart™ piercing (Patented) technologies. Linatrol™ Windows-based Touch Screen Infinity Controller. m3 Plasma™ Bevel dry/Water injection 280amp plasma Cutting and Marking torch. through the established channels of Linatrol Systems Inc. and m3Plasma (a division of Esab). For now, the 3D BEVEL SYSTEM is only available to OEM’s and integrators. Customers requiring this type of new 3D technology need to contact their closest agent. A separate 3D bevel editor will also be available for download at www.fastcam.com so that designers can add their own weld profiles to any part.